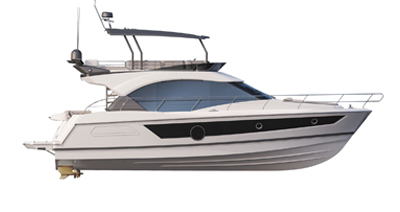 The Swift Trawler 47 combines confidence with affordability and it is the ideal boat for travelling with the family. She is designed to take you further faster and appeals for her distinctive character, elegant comfort and extra roominess on board. Her robust look instantly inspires safety. 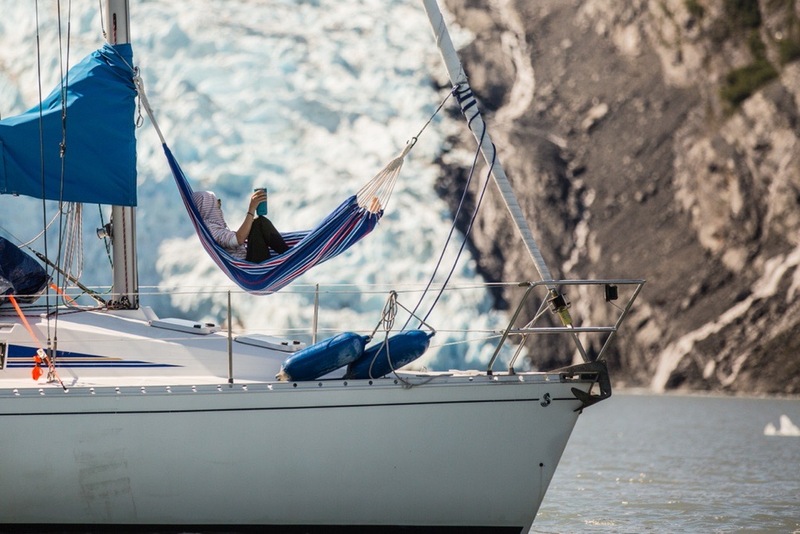 This feeling is confirmed on board with a very practical open deck plan. Large walkways and several hand rails make passengers feel extra safe moving around. On the large flybridge, up to four people can sit up front underway, facing the sea. The cockpit is wonderfully modular so that you can enjoy the best of what the sea has to offer. The transom provides access to a large swim platform where you can enjoy leisure activities while at anchor. Already easy to handle with its twin engine, the Swift Trawler 47 can be equipped with joysticks that will make manoeuvring in the harbour child’s play. 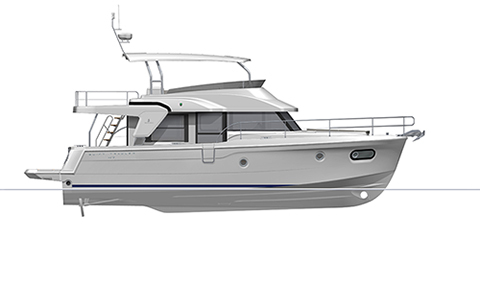 With three cabins and a sofabed, the Swift Trawler 47 can provide up to eight very comfortable berths. On the upper deck, enjoy the large convivial lounge with facing seats and the open L-shaped galley, all with high-quality fittings. Modular and generous, the saloon converts to a guest cabin in a few seconds. The Swift Trawler 47’s wheelhouse is accessed from a side door to starboard. It is bathed in natural light and offers excellent visibility from the central driving station. Clever, elegant and incredibly safe, the Swift Trawler 47 will tempt you to explore places and get away from it all, in your own personal style. You’ll enjoy interacting in the large lounge with facing seats. The sofabed can be converted into a guest cabin in a few seconds. With three cabins and two showers, the Swift Trawler 47 is the ideal boat for travelling as a couple or with friends or family. In keeping with the outstanding performance of the range, the Swift Trawler 47‘s fuel consumption is very reasonable. Note that her fuel tank now has a capacity of 1920 litres and the water tank 680 litres. Exterior galley with worktop, sink, bin, 40 L refrigerator (option) and electric grill (option), as well as a large lounge with a table seating up to 8 people. Large access ramp with guardrails for safety. Good visibility from the driving station, which can seat 4 people facing the sea. Large L-shaped galley with double sink, two refrigerators, gas or ceramic hob and a large worktop. L-shaped saloon bench seat converting into double berth. The glass door opening aft of the wheelhouse bathes the interior with light and provides 360° visibility. Driving console for two seats. Owner's cabin: slatted bed frame and lots of storage. Portholes make the cabin bright and offer a sea view. En-suite owner shower room and guest shower room, with separate toilet. SHIP CONTROL on board technology. User friendly and intuitive interface providing simple acces to many of the boat's functions.